Some new business models seem to take shape in the fluctuating space of capital markets. More and more mergers come to the benefit of end users, such as pharmaceutical companies that mix business with science. Teva Pharmaceuticals is such a case, getting set and ready to break through the unfamiliar ground of movement disorder treatment markets. This announcement has been made as a result of a merger between Teva and Auspex Pharmaceuticals, one meant to make stock markets less trivial. Of course there is a lot of money involved in the transaction, loads of money are needed for business to survive. However, the good news is that beyond the stock strategy there’s also a business plan concentrated on research and development. Teva pharmaceuticals will soon start to dig deep into the field of research for movement disorder diseases, such as Huntington’s disease. Teva’s financial potency and positioning in the world of pharmacy drugs and Auspex’s insightful studies in the movement disorders field will shed light on a range of diseases that can gain better treatments. Auspex is one of the most innovative biopharmaceutical companies, specialized in deuterium chemistry to known molecules. They are the ones to create novel therapies for improved safety. Auspex are concentrated on permanent research to treat chorea, tardive dyskinesia and Tourette syndrome. What Teva Pharmaceuticals is set to be doing in the Auspex story refers to allowing their strong research and commercialization capabilities to unlock the value for their shareholders. April was the month to reveal data on topline results of a Phase III study in Huntington’s. The American Academy of Neurology was hosting the meeting that resulted in granting a compound on orphan drug status by the US Food and Drug Administration. The non-disclosure agreement will most certainly be submitted in the second quarter of this year. This being said, Teva Pharmaceutical not only expands its value by purchasing stocks from the most prolific pharmaceutical organizations, but also invests great budgets in the research and distribution activity for treatments in popular diseases with no cure yet envisioned. Teva pharmaceuticals is also prepared to sign an agreement with Mylan, one of the most competitive players in the industry. They now own a stock defined by more than $5 per share. That is huge, if we launch an eye on what stock value means in the free markets nowadays. The Teva and Mylan merger, estimated at an overall cost of $34 billion for Teva Pharmaceuticals, is announced to be the biggest pharmaceutical acquisition so far this year. After trials and tribulations, budgets reconsidered and business ego battlefields, we hope the deal will be done to the end-consumers advantage. Mylan partnering with Teva, means our consumer markets could benefit from Copaxone, a medicine with high-demand among patients with multiple-sclerosis. A team of two drug makers already won US approval to market generic versions of Copaxone but with the new Teva pharmaceuticals acquisition, the chain of release and distribution could benefit from serious investments and of course, improvements. The flexibility provided by M&A business strategies seems to be both efficient for pharmaceuticals and beneficial for patients. New grounds of discovery get serious digging, bringing advantages in the form of treatments for diseases that were lacking in research and development. Serious investors like Teva Pharmaceuticals USA partnering with organizations that have in-depth research teams, allow drug makers to operate more productively and with fairer tax bills, helping each other and the end-users generally, by dropping overall healthcare costs. As the inflation rate rose, so did the costs for common treatments. This translates in a greater spread of diseases, lack of investment in treatments and healthcare and poor distribution. Teva pharmaceuticals USA along with other giant pharmaceutical companies delivered a growth of over 17% in gross domestic product. This is a tidal wave that’s growing rather than dissolving in a sea of drained budgets and drowned businesses. Apart from the benefits in healthcare treatments, Teva opens the job markets for a wide range of professionals. With business growing, grows the need for human resource as well. Teva Pharmaceutical US offers a steady jobs platform, allowing for competition and strong specialization in the pharmaceutical field. Now, with Teva pharmaceuticals taking over other important player’s business strategy, the consolidation of pharmaceutical sector comes to terms with the demands of capital markets both in the professional field and treatment care. First of all, progress in stock brings progress in research and development, thus the movement disorder treatment markets especially in the case of Teva will evolve with new medication coming to light. Secondly, we have an overgrowing need of capital workforce to supply all the know-how and specialization in the field. There are many Teva Pharmaceutical jobs in line, waiting for researchers, biologists, scientists and business savvies to take control. Consequently, there is a wide range of options in the career markets, granted by Teva Pharmaceuticals US. 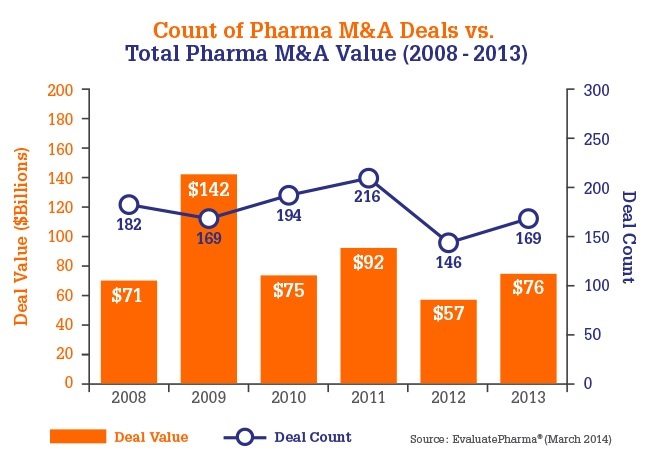 The pharmaceutical industry is one of those activity fields with constant need to evolve, so the more investment is made in M&A, the more chances for a healthier world arise. Money is vulgar and most of the time it is subject to trivial comments in the media and the world of business. The pharmaceutical sector could be an exception, as the value we get for money is equitable. Teva Pharmaceutical industries is one of the top players in the world, delivering both business solutions and health treatments for those in need. Reports say the Mylan and Teva Combo is expected to be the most important merger of the year, with money flowing over new fields of research, investment, job markets and distribution lines to help patients get their treatments in time. Teva Pharmaceuticals has his headquarters in Israel, with clusters all over US. For those of you who are great professionals in the field but lack a good and steady position, keep an eye open on the career opportunities designed for your skills. The giants developed a very user-friendly platform with a special category addressed to job seekers everywhere. However, if the mighty powers of the internet are rather unknown for you, there is always a Teva Pharmaceuticals Phone number you can use and find the information you are looking for. Along with the headquarters in Israel, Teva has branches in Miami, Cincinnati, Kansas City, North Wales, Philadelphia, Canada and more. Business development will open the markets for new positions in the pharmaceutical field, distribution field, Teva Pharmaceutical patient assistance and business strategy. There is certainly a friendly list of positions awaiting for a fresh vision in all the mentioned areas. All professionals look for a provocative place to work and a Teva Pharmaceuticals career could be the right choice. They are on an upward slope of investment, releasing new opportunities both for research and development and career seekers. The Milan merger came with new promises from the Teva giant. They promised to provide substantial premium and immediate value for their shares, translated into an improved vision over the healthcare system. Maybe a system that would support an ultra-specialized range of individuals, driven to working in the very benefit of human science. Teva hopes to transform the global generics space and leverage it to hold a unique position in the pharmaceutical industry, as Erez Vigodman, CEO of Teva announced. The list of Teva Pharmaceutical products are top rated in the US. This company has 8 drugs in the top 100 Drugs, according to registered sales. There are more than 388 drugs under Teva license in the US only. Most of medicines listed by Teva may also be marketed under different names in different countries. Diverse marketing of drugs with same potential but sold under different names is also a matter of poor distribution. Different pharmaceutical companies exchange their know-how in certain health fields and sell licenses to others that can provide a better distribution in certain areas. The M&A strategies are improving the distribution chains, allowing great players to easily align to the tax systems in different corners of the world. Also, they bring new workforce on the playground and along with that, the constant need to evolve in delivering even better results. Industry mergers and acquisitions are translated in higher revenues and implicitly better perspectives when it comes to health management and solutions. Teva Pharmaceutical Limited is one of the best examples in this matter, as one of the leaders in the industry. Their trials and tribulations over the Mylan merger reveal Teva as one of the most frightening competitors when it comes to serious investments in business. When you reach the top, it’s hard to close partnerships with organizations that are as strong as you are. The stakes are high, the egos are over the roof and the terms and conditions of such partnerships are most of the times rough. Teva pharmaceuticals comes with great exposure in media and a lot of side comments as well. However, beyond that there is an entire industry permanently evolving and new lines of treatments researched, developed and distributed to the ones that need them. Patients who suffer from Huntington’s disease can now see through a dim light of hope, with a new line of treatment research and development benefits from serious investments.